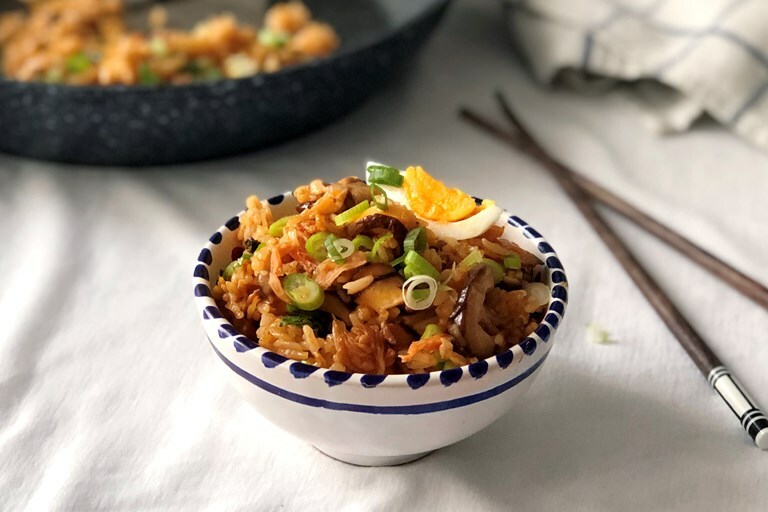 For a Korean main or side dish that packs a punch, you can't do better than this kimchi-fried rice recipe from Shu Han Lee, which includes shiitake mushrooms for added earthiness. If serving to vegetarians, check the ingredients list on the jar of kimchi to make sure it doesn't contain fish. Check out Shu's other fried rice recipes here.